WASHINGTON -- Mammograms do the most good later in life, a government task force has declared in recommending that women get one every other year starting at age 50. It said 40-somethings should make their own choice after weighing the pros and cons. When to start routine mammograms and how frequently to get them has long been controversial. The latest guidelines from the U.S. Preventive Services Task Force, made public Monday, stick with its advice that women should have one every two years between ages 50 and 74. But they also make clear that it's an option for younger women even though they're less likely to benefit. Some health groups urge mammograms every year starting at 40 - although last year the American Cancer Society upped its starting age to 45. There is some common ground emerging, that mammography advice shouldn't always be one-size-fits all. "Age 50 isn't magic," said task force past chairman Dr. Michael LeFevre of the University of Missouri. Here are some things to know about mammograms. Women in their 60s are the most likely to avoid dying from breast cancer thanks to mammograms, but there's clearly enough benefit for the average woman to start at 50, the task force found. The advisory group wants younger women to understand the trade-offs before deciding: Among every 1,000 women screened, one additional death could be prevented by starting mammograms at 40 instead of 50. But there would be 576 more false alarms and 58 additional unneeded biopsies. Also, two extra women would be overdiagnosed, treated for cancer that never would have become life-threatening. Monday's update, published in Annals of Internal Medicine, is largely a rewording of guidelines originally issued in 2009 and reconsidered in draft form last spring. This time, the task force stresses that "we think the science supports a range of options" for 40-somethings, LeFevre said. Mammograms aren't perfect, and different health organizations weigh the trade-offs differently. So do women and their physicians. The American Cancer Society says to begin annual mammograms at 45 but switch to every other year at 55. After menopause, tumors tend to grow more slowly and women's breast tissue becomes less dense and easier for mammograms to penetrate, says chief medical officer Dr. Otis Brawley. Between ages 40 and 44, when breast cancer is especially uncommon, the society also says women should make their own choice. "We're moving away from paternalistic medicine where we doctor organizations used to tell women, 'You must do this,' " Brawley said. "We're saying, 'This woman is at higher risk, therefore maybe she should get screened at 40. This woman is at lower risk, maybe she can wait a little later.'" The American College of Obstetricians and Gynecologists stands by annual mammograms starting at 40, while urging patient education and shared decision-making. More than 200,000 women are diagnosed with breast cancer each year, and about 40,000 die from it. It is most frequently diagnosed among women ages 55 to 64, and the median age of death from breast cancer is 68. Screening guidelines are only for women at average risk of breast cancer. Women with a mother, sister or daughter with breast cancer have a higher risk than the average 40-year-old. Other factors can play a role, too, including genetics, breast density and menstrual and pregnancy history. Dueling guidelines mean "some people get so confused they don't get screened at all. Some are too anxious or afraid not to do more, and it may not be better for them," said breast cancer specialist Dr. Laura Esserman of the University of California, San Francisco. "Maybe we should be screening in a new way." Esserman leads the first-of-its-kind WISDOM study that soon will begin enrolling 100,000 women to test whether tailoring screening to someone's individual risk is better than age-based mammograms. Women given annual mammograms starting at 40 will be compared with others assigned more or less frequent screenings, starting at different ages, based on in-depth risk assessments. Insurance usually pays for mammograms. Because of concern about how the task force recommendations might be implemented, Congress recently extended for two years legislation preserving access to routine mammograms without copays starting at age 40. The task force says more research is needed to know whether to continue mammograms at 75 and beyond. The cancer society says to keep screening as long as women are in good health and have a life expectancy of at least 10 years. 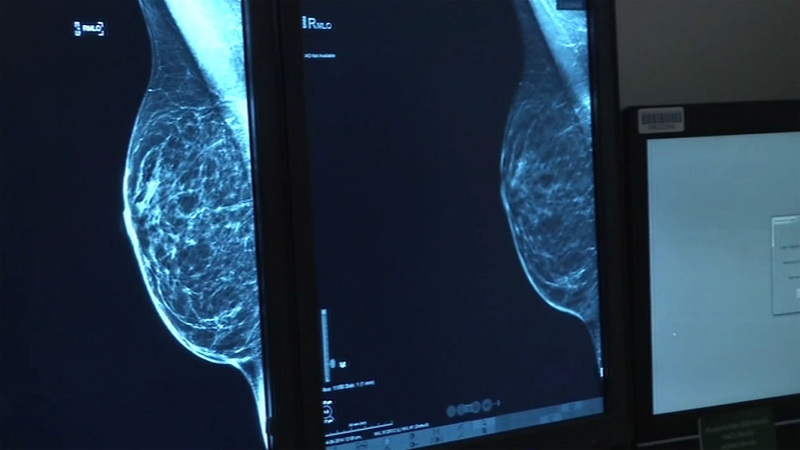 The task force said more research is needed to tell if newer 3-D mammograms should be used for routine screening and if women with dense breasts benefit from extra testing, such as with ultrasounds or MRIs. The cancer society's Brawley said the mammogram age argument has distracted from a bigger urgency: "We ought to say this more: We need a better screening test for younger women."